If you have ever bought anything on credit - you have a CREDIT SCORE. And this is important because it is the easiest way for any lender, creditor or prospective employee to get information on your financial reputation i.e whether you are a good credit risk … or not? It is the single most important number that stands between you and getting that new home you love or the new car that will take you places and maybe even that job which will forever change your life. So YES it is an important number and it is in your power to KNOW and IMPROVE ⬆️. 1. Start by knowing your CREDIT SCORE - Follow this link to your free credit report. 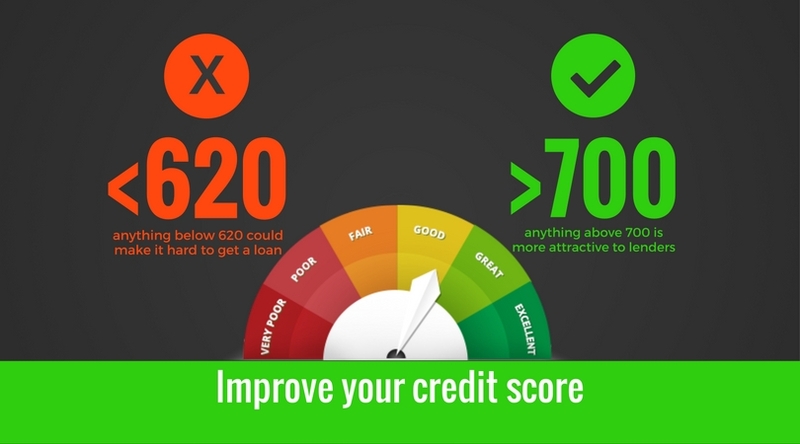 The more positive the information in your credit report… the higher your credit score, a bit like a school report card. 2. Make sure you check the ACCURACY of the report. Identity theft or manually captured data can lead to costly mistakes which could adversely affect your credit score. Get on top of any mistakes because it takes the bureau 21 days to rectify and remove any inaccurate information. 3. Make your monthly payments on time 📅. Debit orders are always a great idea to help if you are unable to keep to a monthly scheduled payment. If you pay up any overdue debts, the creditor has 7 days to notify the bureau after which the credit bureau can take up to 21 days to remove the debt from your report. 4. Make sure the cash is in the bank for Debit orders. If you do have debit orders, make sure they are cleared every month. Any debit orders that do not go through will decrease your score. Stay far away from any short-term loans with high-interest rates. They are a red flag on any credit report. If you have never opened any credit line there is no proof that you would act responsibly and pay timeously and in full. A cell phone account could be a great start 📲. Try to only have one, but not more than two credit cards. You should never max out your credit cards. Try to keep your credit balance below 50% and pay off the full payment monthly. 8. Your marriage affects your credit status 👰🏽🎩. Know each other’s status especially if you are married in community of property as if affects your buying power. Work together with your partner to keep your credit score high. 9. Speak to your creditors. If you are having trouble paying your credit be sure to speak to your creditors and try and negotiate different terms. Avoid going to court as this could cause huge damage to your credit score.